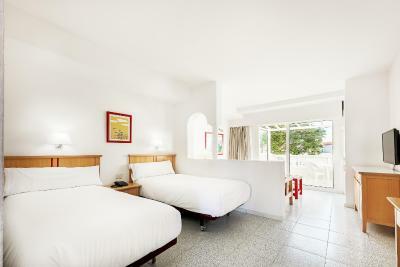 Spacious bathroom, plenty of hot water, clean, good range of tv channels, comfortable beds, very well maintained grounds. Spar supermarket 2 mins walk away. Cheap apartments for the time of year (NYE). We left it to the last minute and did not have much choice but to stay here. Lovely hotel amazing facilities and outstanding attention to detail. 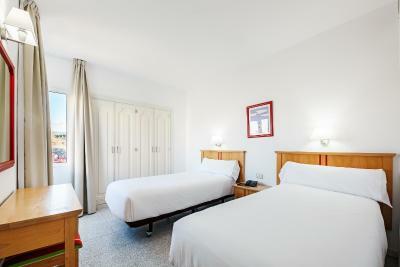 Most comfortable holiday beds we have had in years! Lovely pool area. Went to the bowling alley just around the corner for a drink and late night snack, upon our arrival. Market was 5 mins walk away, and supermarket 20 mins walk away - very handy if you like walking, which we do. Free safe was great. Sun beds comfy - it was a lovely short 4 day break. 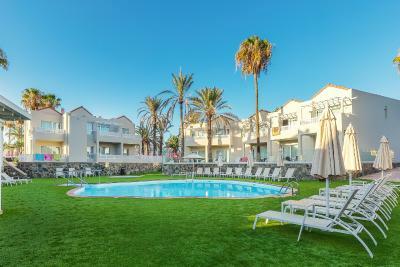 Great, well proportioned and maintained apartments. Staff were friendly, with cleaning 5 days a week. Grounds were excellent with a pool in every "zone". Was quiet and close enough to the residential areas that there were plenty of "local" restaurants and shops where you paid local prices rather than tourist prices. Also, easy access to some lovely cycling routes in the mountains. 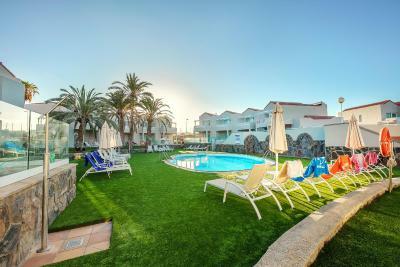 The apartment we stayed in (411 and 407) had a garden area in front of the terrace and we had sunbeds there. It was lovely place to relax in the sunshine. Beds were comfortable. 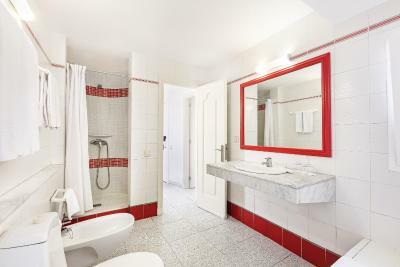 Room was cleaned regularly and towels changed. 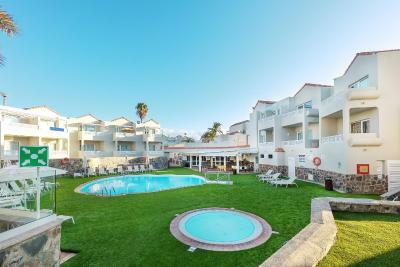 Pools were kept clean and tidy and toilets around pool were immaculate. Room size was good. Not noisy. Gated so it was secure. All had balcony and clothes airer. Had safe in bedroom. Grounds were kept clean and tidy. 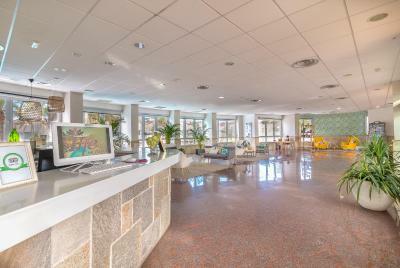 Apartamentos Koala Garden THe Home Collection This rating is a reflection of how the property compares to the industry standard when it comes to price, facilities and services available. It's based on a self-evaluation by the property. Use this rating to help choose your stay! 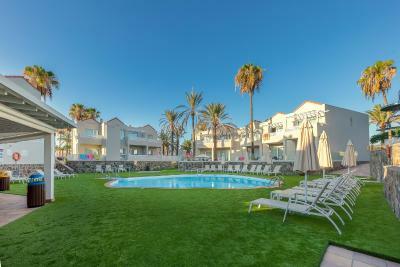 Located in Maspalomas, Apartamentos THe Koala Garden offers apartments surrounded by tropical gardens. It features 2 adults and 2 children swimming pools. Free WiFi is available throughout the property. 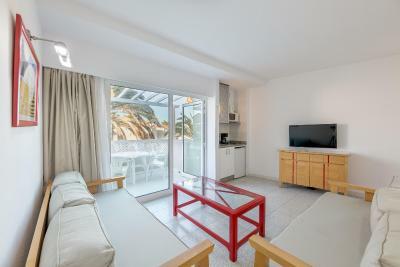 Each Koala Garden Suites apartment offers a private balcony, flat-screen TV and air conditioning. 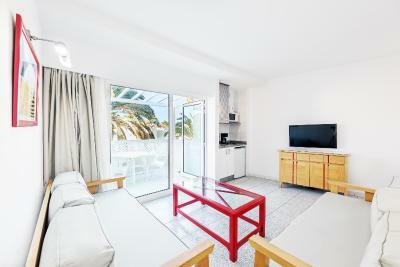 All units feature a bright living-dining area and a kitchenette with a fridge and microwave. Safety deposit boxes are available for an extra charge. 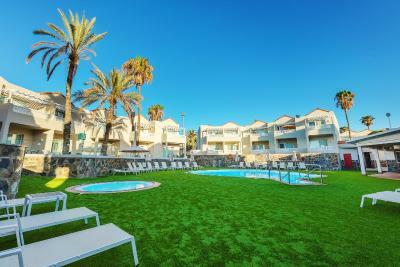 The nearby resort of Playa del Ingles has numerous restaurants, bars and shopping centers. There is a small gym on site, as well as indoor and outdoor play areas for children. 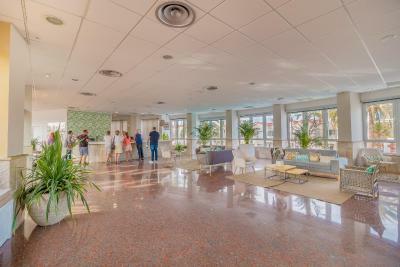 The complex also operates a 24-hour reception. Apartamentos THe Koala Garden Suites are 2.5 mi from Playa del Inglés Beach and a 5-minute drive from Maspalomas Golf Course. 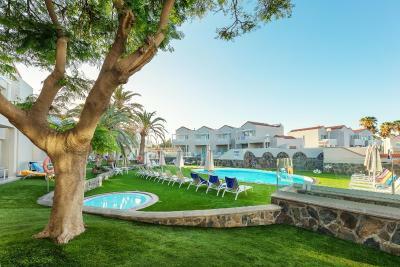 When would you like to stay at Apartamentos Koala Garden THe Home Collection? 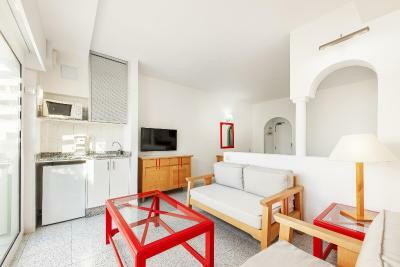 This apartment features a bedroom with twin beds and a living room with private terrace or balcony. 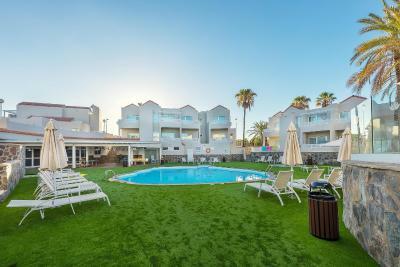 It offers free WiFi, TV and air conditioning. 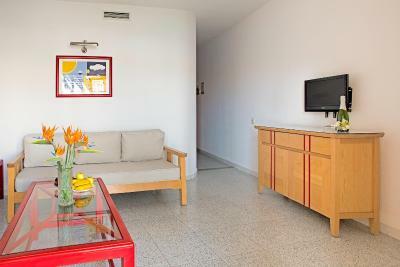 you will find a kitchenette with fridge, coffee machine, kettle and utensils as well as a safety deposit box. 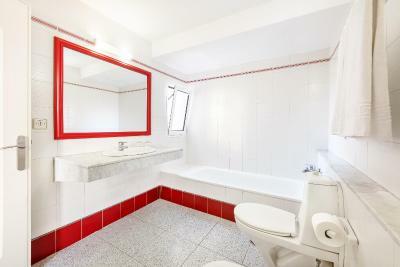 The private bathroom comes with a bathtub and shower, hairdryer and toilet articles. 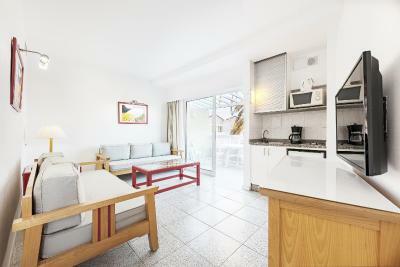 The studio offers twin beds and a living room with a private terrace or balcony. 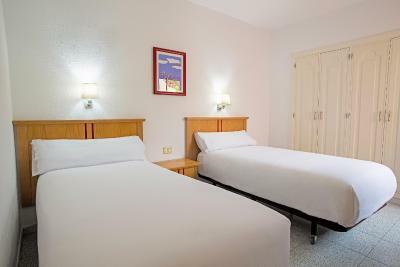 It features free WiFi, TV, air conditioning, a kitchenette with fridge, coffee machine, kettle and utensils and safety deposit box. 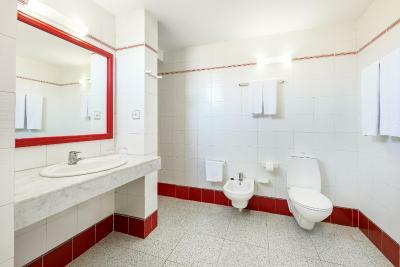 The private bathroom comes with a bathtub and shower, hairdryer and toilet articles. 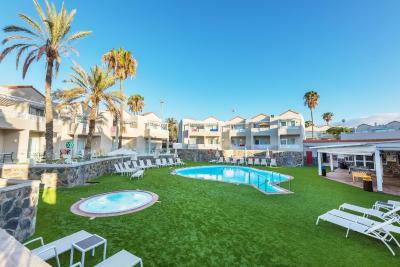 Apartamentos THe Koala Garden Suites complex is located 2km from the sea and very close to the Maspalomas golf course; it offers you the best proposal for comfort and service in an ideal environment for your family holidays. 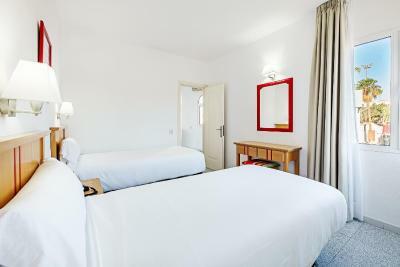 It has everything at your disposal, bright and comfortable apartments-suites distributed in buildings with two floors, with air conditioning and excellent equipment and services. House Rules Apartamentos Koala Garden THe Home Collection takes special requests – add in the next step! Apartamentos Koala Garden THe Home Collection accepts these cards and reserves the right to temporarily hold an amount prior to arrival. Please note the property consider children guests up to 12 years old. 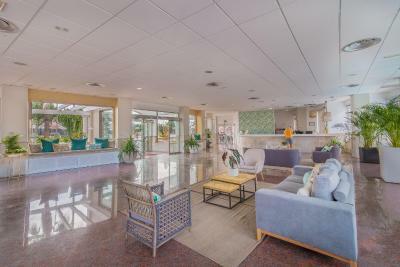 Please note that the board services for all-inclusives rates take place at the Hotel THe Koala Garden facilities, located 350 feet from the property. Poor kitchen facilities and space. Minimal crockery, cutlery. May be able to just manage making snacks. 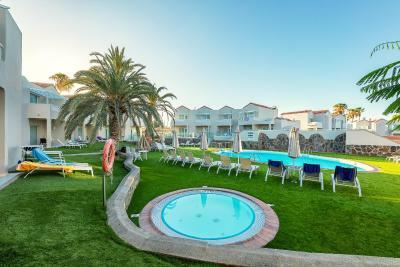 People staying in the apartments were unable to use the sister hotel facilities e.g sports bar, pool bar, unless you book all inclusive or pay 30 euros per person each for a day pass. Apartments don't have any snack or pool bars you can use. Location was quiet and peaceful but no bars or restaurants/cafes nearby. Have to get a taxi to shops, bars, restaurants but taxi rank on site. Not all pools are heated, if any. You need cash deposits for TV, Iron, Table Tennis and any other equipment. No pool towels provided if you are outside of All Inclusive. Too little space for preparing meals. Could lead to accidents. The bar was not all that ambient, though to be fair, it was off-season, so the bar they use in the summer might be better. Plastic drinks containers made me turn away from the bar area. It was around the pool area, so understandable that they use plastic glasses. I have to drink out of a proper glass. Had to ask several times for sheets. Also it would have been nice to have basic washing up stuff like a sponge rather than having to buy it out. Or basic things such as salt and pepper. A pool bar missing from zone 4. I had few cockroaches in my bedroom so last few nights I slept in my friends apartment with them. Kitchen area didn’t have any work surface and no oven ( only toaster and microwave ) furniture needs bit of updating in living area.